When marketing businesses we’re big fans of using testimonials, case studies and reviews to help build credibility and reduce the perceived sense of risk. You see, a independent third party endorsement provides significant value to a business with research indicating 92% of consumers now read online reviews. Star rating is the number one factor used by consumers to judge a business. It’s been our experience that restaurant reviews on Trip Advisor can drive significant business in (and the high Trip Advisor rankings can be leveraging across a range of marketing channels including media stories, social media and more). We currently have an advertisement on a leading recruitment web site. One of the applicants, a guy named Ryan, noticed something possibly dodgy about one of our reviews on Facebook and Google. 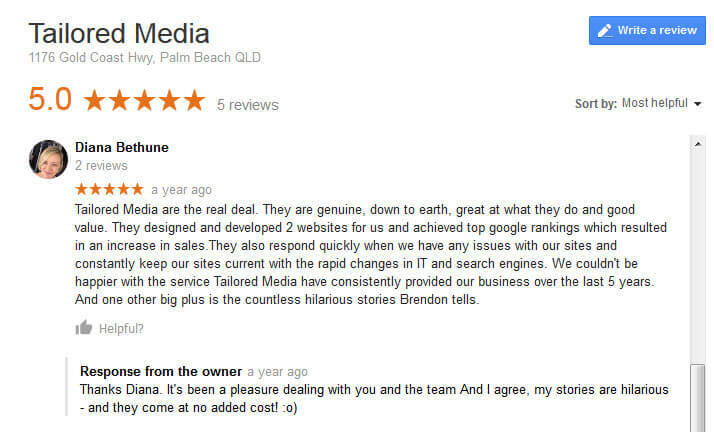 Diana takes care of our HR here in the business – Ryan noticed Diana had written a couple of reviews for us. Well that seems a bit weird – a team member writing reviews for the business she works for. And Ryan said as much! 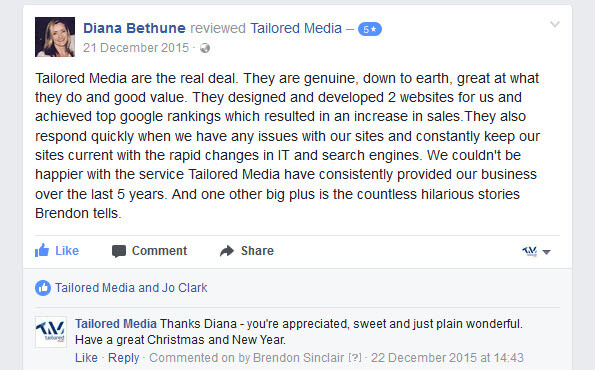 He’s correct young Ryan – Diana wrote the reviews before she came to work with us (her business was a client for 5 years or so). So I’m quite happy to leave the reviews up. That’s the thing about reviews – you can never ever compromise on reviews. Don’t fake them, don’t write bad ones about your competitors and don’t delete bad ones. Reviews give you the opportunity to be part of the conversation about your business. They give you the opportunity to restate your key messages. People want authenticity and honesty in the businesses they deal with – make reviews a cornerstone of that and your business will benefit from it.